Barely noticed by our mainstream media, HR 1540 (signed into law by president Obama on December 31, 2011) has set the stage for the repeal of constitutional government, not to mention the development of the « Surveillance State », which has recently been the object of heated debate. The establishment of « Internment Camps » on US Military Bases under legislation adopted in 2009 . With minimal media debate, at a time when Americans were celebrating the New Year with their loved ones, the “National Defense Authorization Act » H.R. 1540 was signed into law by President Barack Obama. The actual signing took place in Hawaii on the 31st of December. According to Obama’s « signing statement », the threat of Al Qaeda to the Security of the Homeland constitutes a justification for repealing fundamental rights and freedoms, with a stroke of the pen. The relevant provisions pertaining to civil rights were carefully esconded in a short section of a 500+ page document. Obama implements « Police State USA », while acknowledging that certain provisions of the NDAA (contained in Subtitle D–Counterterrorism) are unacceptable. If such is the case, he could have either vetoed the NDAA (H.R. 1540) or sent it back to Congress with his objections. Obama justifies the signing of the NDAA as a means to combating terrorism, as part of a « counter-terrorism » agenda. But in substance, any American opposed to the policies of the US government can –under the provisions of the NDAA– be labelled a « suspected terrorist » and arrested under military detention. Already in 2004, Homeland Security defined several categories of potential « conspirators » or « suspected terrorists » including « foreign [Islamic] terrorists », « domestic radical groups », [antiwar and civil rights groups], « disgruntled employees » [labor and union activists] and « state sponsored adversaries » [« rogue states », « unstable nations »]. The unspoken objective in an era of war and social crisis is to repress all forms of domestic protest and dissent. His administration « will not authorize » what? The implementation of a Law endorsed by the Executive and signed by the President of the United States? The “National Defense Authorization Act » (H.R. 1540) repeals the US Constitution. While the facade of democracy prevails, supported by media propaganda, the American republic is fractured. The tendency is towards the establishment of a totalitarian State, a military government dressed in civilian clothes. The passage of NDAA is intimately related to Washington’s global military agenda. The military pursuit of Worldwide hegemony also requires the « Militarization of the Homeland », namely the demise of the American Republic. In substance, the signing statement is intended to mislead Americans and provide a « democratic face » to the President as well as to the unfolding post-911 Military Police State apparatus. The « most important traditions and values » in derogation of The Bill of Rights and the US Constitution have indeed been repealed, effective on New Year’s Day, January 1st 2012. 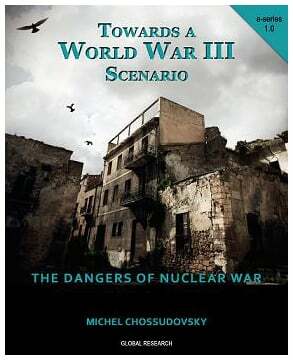 This New Year’s Eve December 31, 2011 signing of the NDAA will indelibly go down as a landmark in American history. Barack Obama will go down in history as « the president who killed Constitutional democracy » in the United States. If we are to put this in a comparative historical context, the relevant provisions of the NDAA HR 1540 are, in many regards, comparable to those contained in the « Decree of the Reich President for the Protection of People and State », commonly known as the « Reichstag Fire Decree » (Reichstagsbrandverordnung) enacted in Germany under the Weimar Republic on 27 February 1933 by President (Field Marshal) Paul von Hindenburg. 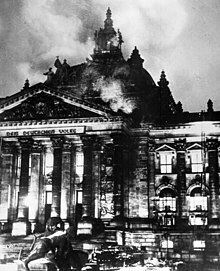 The Reichstag Fire decree was followed in March 1933 by « The Enabling Act » ( Ermächtigungsgesetz) which allowed (or enabled) the Nazi government of Chancellor Adolf Hitler to invoke de facto dictatorial powers. These two decrees enabled the Nazi regime to introduce legislation which was in overt contradiction with the 1919 Weimar Constitution. 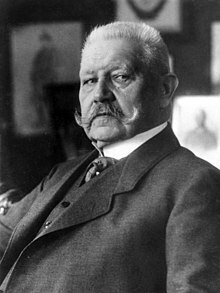 The following year, upon the death of president Hindenburg in 1934, Hitler « declared the office of President vacant » and took over as Fuerer, the combined function’s of Chancellor and Head of State. To say that January 1st 2012 is « A Sad Day for America » is a gross understatement. The FBI isn’t the only agency shielded by the Justice Department under cover of bogus « state secrets » assertions by the Obama administration. How does a branch of the military end up in the Department of Homeland Security, whose mission is to police the « homeland » and its residents?